Excellent service, the people really tried to understand what was best for me, and reasonable prices. AMAZING COFFEE! If you're ever here make sure to stop by the coffee shop, really nice customer coffee and even better coffee!! My dad and i where treated Really good and treated him with dignity as a veteran and went out of there way to get his car and came away with a 2019 honda hrv and his favorite color blue and charcoal grey. 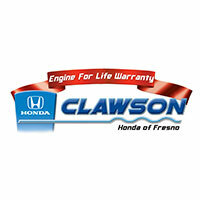 We cant say enough of clawson honda. Father and son ken and bill Uffelman. I traded in my 2007 Ford Mustang about a couple weeks ago for the 2016 Honda Civic LX at the dealership. The employees were really friendly. Great experience and very happy with my Honda Accord. The exterior and interior both exceed my expectations. Everything, the technology touch screen, comfortable seats, sensing, heated rear mirror, apple play, and so much more. Not to mentioned their customer service was knowledgeable, professional, and helping me find the car I wanted. I recommend Clawson Honda to my family and friends. Jesus Lopez was an astounding salesman. He got me & my wife the best deal the valley had to offer. He was extremely nice, hardworking & transparent throughout the whole process. When we walked out of the dealership we felt well taken care of. Our credit or income isn’t the best & yet he still got us an amazing deal. I definitely recommend buying your car from here & be sure to specifically ask for Jesus! Every part of this experience was great! We had just come from looking at a completely different dealership and the difference was night and day. We had a monthly payment in mind and Mercedes and Joe got our monthly payment even lower than our goal. Mercedes was so personable and it felt as though we had always known each other. She taught us everything about the features and tech of the SUV and even followed up within the next couple days after our purchase. We are more than pleased! The staff was very friendly and respectful. The salesperson Debbie was very professional and was never forceful just providing me with all the info I need.